Please let us know if you plan to attend. 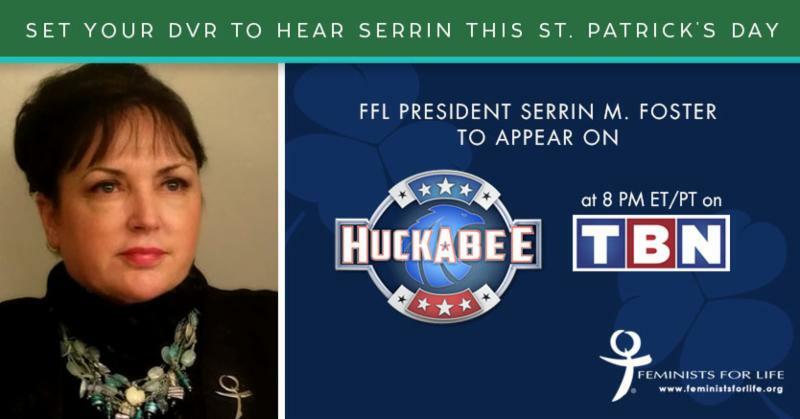 Serrin hopes to meet and speak with you after the show. If you can’t be there in person, the show will air on TBN Saturday, March 17, and Sunday, March 18, at 8:00 PM and 11:00 PM ET and PT. Also as we celebrate Women’s History Month, Serrin will present her landmark speech, “The Feminist Case Against Abortion” at Johns Hopkins University in Mudd Hall, Room 26, Tuesday, March 27, at 8:30 PM. Thank you so much for your support that makes our work possible.